To make your visit to Bali easier and more leisurely, we’ve got Daihatsu Xenia for rent with experienced and service minded drivers. 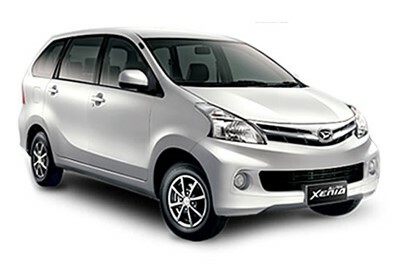 If you are a couple traveler or a family of no more than 5 members, then you can rent Daihatsu Xenia and our English speaking driver is not just one day, but it may also be for days to see the beauty of Bali island. Like Avanza, Daihatsu Xenia is also one of the most widely used MPVs as tourism transportation. The reason is because the car engine is also fuel efficient. It also supported by good quality exterior and interior appearance. WA +62 878 6196 8073 – We are a local private Bali driver team able to be your guide to the best things to do in Bali packed full with ideas of what to do, free things to do, what to see and places to go. So, please Book our Xenia charter services for couple days and let us show you Bali with It’s Magic. We do not require any deposit to confirm your booking. Please book advance and you may pay in cash once meet our driver. It’s that simple! But if you want to use a credit card, we provide online payment using Paypal. WHAT IF I STAY OUTSIDE THE POPULAR AREA?We provide pick-up/drop-off at hotels in Kuta, Legian, Seminyak, Ubud, Sanur, Nusa Dua, Jimbaran. DO YOU PROVIDE HALF DAY SERVICE? You may hire us only for full day (10 hours). We don’t offer refunds for unused hours. HOW CAN I CHOOSE TOURS AND PLACES TO VISIT? Plan your schedule directly with the driver when you meet. You can choose from our tour programs, or choose any places to visit from your own tour itinerary. We are OK with whatever you decide. Yes – if you are planning to use full day service after arrival. If you need hotel transfer only – there are official airport taxi for hotel transfer and You may start using our service for the next day. We provide pick-up and drop-off at main tourist spot such as : Bali Airport, Kuta, Seminyak, Canggu, North Jimbaran, Nusa Dua, Denpasar, Sanur and main part of Ubud. Please contact us for pricing and availability in other areas. The above rate price is valid for visiting common attractions in South Bali Covering : Kuta, Jimbaran, Uluwatu, Nusa Dua, Tanah Lot, Central Bali covering : Ubud, Kintamani, Ulun Danu, Bedugul, Jatiluwih, Padangbay, Klungkung, Candidasa. IDR 100,000/car extra charge apply for North route area: Lovina, Munduk, Gitgit, Banyumala, Sekumpul, East route area : Besakih, Lempuyang, Tirta Gangga, Amed, Tulamben, West route area: Pupuan, Soka beach, Medewi beach, Negara city. IDR 200,000/car extra charge apply for Western tips route area : Gilimanuk, Pemuteran, Menjangan, West National Park. Please don’t hesitate to contact us if you need any information needed. We are happy to answer any question from your side.